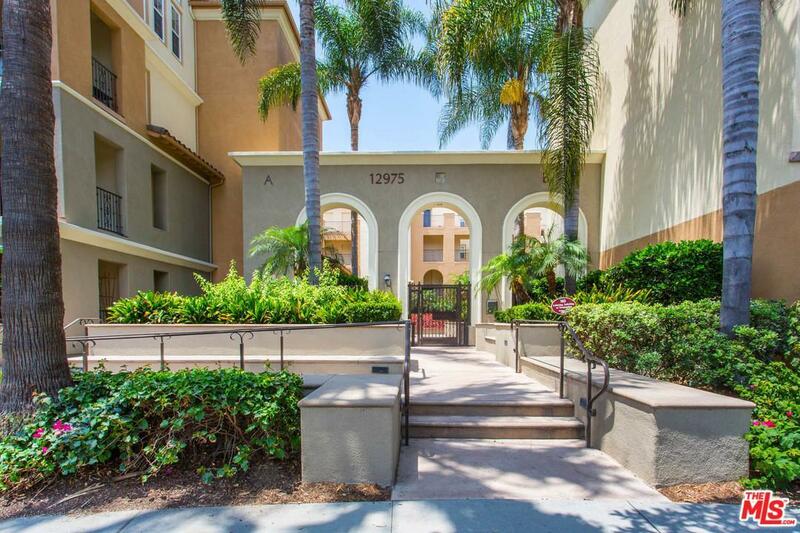 Light, bright and updated 2-level condo in Playa Vista's coveted "Carabela" development. This 2 bedroom + 2.5 bath home occupies the top 2 floors of the building and boasts 1,420 sq. ft. of modern living space. Remodeled kitchen features abundant storage space, stainless steel appliances, quartz countertops and an open and generous living/dining area with fireplace and spacious patio balcony. Master suite features an incredible spa-like, en-suite bath with deep soaking tub, double vanities and large glass shower. Completing the floor plan is: First floor powder room and laundry room with side-by-side washer and dryer, and second floor guest bedroom with full en-suite bath. 2 side-by-side parking spaces and serene, tree-top views are just a few added bonuses of this home. Located at the core of Playa Vista, adjacent to Concert Park, The Resort and Whole Foods. A short distance to LAX, top-rated Playa Vista schools, restaurants, shops and several other fantastic local amenities.